An assessment is only one component of a thorough hiring process. I encourage my clients to assess their candidates after they have conducted a skill-based interview. Do they have the basic skills to do the job? Once the candidate has made it to second base — so to speak — then have them take the SPQ or the Sales Call Reluctance Assessment. Many hiring authorities and sales managers use the SPQ as a coaching/training and development tool. There are account managers and then there are account developers! What exactly are you looking for in a salesperson? Someone who will consistently prospect? Or do you need a salesperson to work with your existing customers and keep them happy? If you truly are looking for an account developer — prospecting is paramount. You know that; right? The fear of prospecting — or Sales Call Reluctance — is the fear of self-promotion. There are 12 ways that salespeople hesitate to prospect and self-promote. Some types are more costly than others. Yielder Call Reluctance is the most common and incredibly costly. 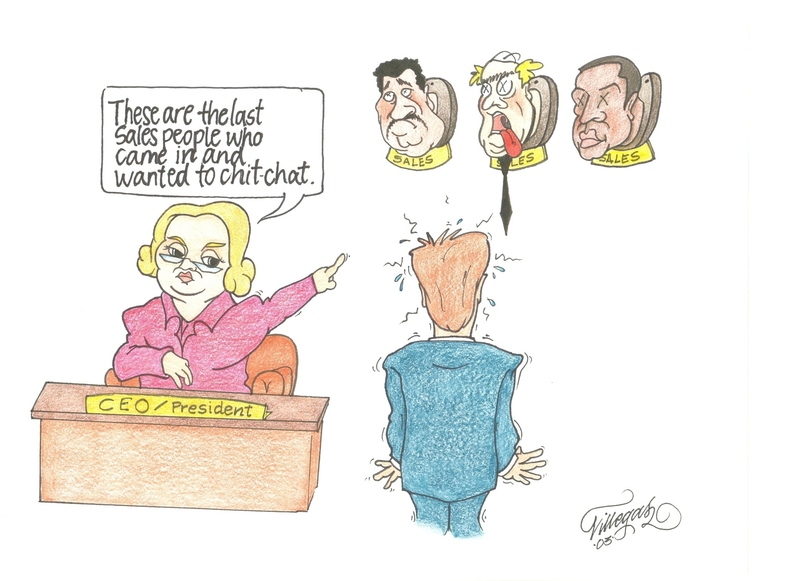 Yielder call reluctance shows up in a salesperson who is not assertive in prospecting and/or moving the sale forward. They are the friendly folks who chit-chat and believe that the relationship is more important than the sale. Yielders do not control the process and they cave if a prospect pushes against them. How do you know if the candidate you are interviewing right now experiences Yielder Call Reluctance? Even if you are interviewing for an account manager — Yielder Call Reluctance can cost big bucks because they can also experience “Close Reluctance.” The SPQ test will shed light on the costly Yielder Sales Call Reluctance. Notice if the candidate agrees with everything you say. . . that can be a small clue that they are approval seeking people pleasers. 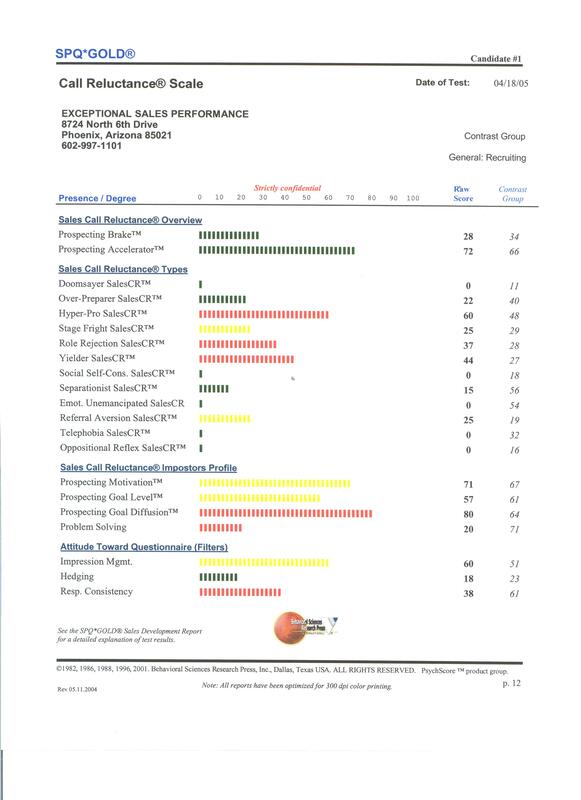 Posted on May 20, 2010 Categories SPQ TestTags assessing salespeople, fear of prospecting, sales call reluctance, yielder sales call reluctanceLeave a comment on There are account managers and then there are account developers! Tell me about your first selling experience. My favorite interview inquiry is: “Tell me about your first selling experience.” Go ahead ask someone who enjoys selling! They usually sit up and with great energy start talking about “selling rocks” or “selling newspaper subscriptions” or “selling girl scout cookies.” It is so much fun to hear the stories and their interpretation of early success. On the other hand, ask someone who doesn’t particularly enjoy selling and usually their body language will say it all. Sometimes they take a deep breath or sigh and/or if not particularly disciplined — even groan. Salespeople who enjoy the selling process are golden! They have what cannot be trained or coached into them — positive early memories that are wired into their brains. Please start asking and share the comments! We want to hear from you! Posted on April 29, 2010 Categories Assessment Test, Coaching, Events, Performance, Results, Sales Managers, Sales Team, SPQ Test, Successes, VideosLeave a comment on Tell me about your first selling experience.